When Antonio Scarpa "died on 31st October 1832, he met the same fate of the many corpses that ended up on his anatomy slab. 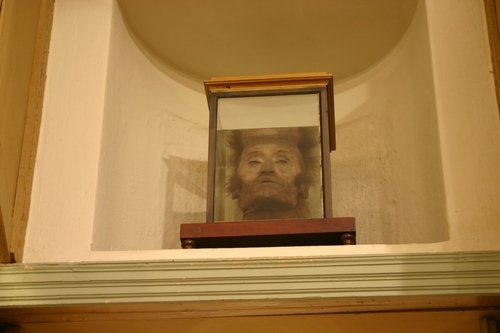 His body 'was mercilessly dissected and examined in the minutest detail'. 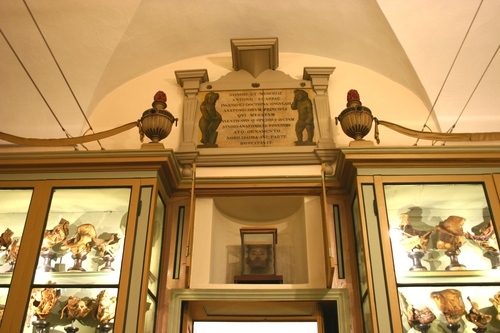 His hands and most of his intestines were removed and placed in the anatomy museum, where his head was also preserved but kept hidden for a number of years (Scarpa’s head is currently kept at the History Museum of the University of Pavia), while the parts of the corpse that featured an alteration of some kind were removed and preserved in the pathology cabinet"1. 1. Retrieved from the University of Pavia's officila website.